Iain Abernethy has been involved in the martial arts since childhood. He began his training in karate under Doug James 7th Dan; who was in turn a student of Toru Takamizawa. Iain Abernethy gained his first black belt at the age of seventeen. Iain Abernethy has also trained extensively with British Combat Association chief instructors Peter Consterdine 8th Dan and Geoff Thompson 6th dan. Iain Abernethy was awarded the rank of 5th Dan by Peter and Geoff in 2004. The British Combat Association is one of the world’s leading groups for close-quarter combat, self-protection and practical martial arts and Iain Abernethy is one of the very few people to hold the position of “Coach” – their highest instructor rank – within the BCA. In addition to holding a 5th dan with the British Combat Association, Iain was also awarded a separate 5th dan by the English Karate Governing Body in 2005. His joint “traditional” and “reality based” approach puts Iain into a unique position in British martial arts. Iain Abernethy regularly writes for the UK’s leading martial arts magazines and he is a member of the “Combat Hall of Fame”. 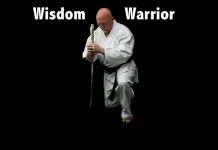 Iain Abernethy is of the view that karate should be a holistic civilian self-protection system. 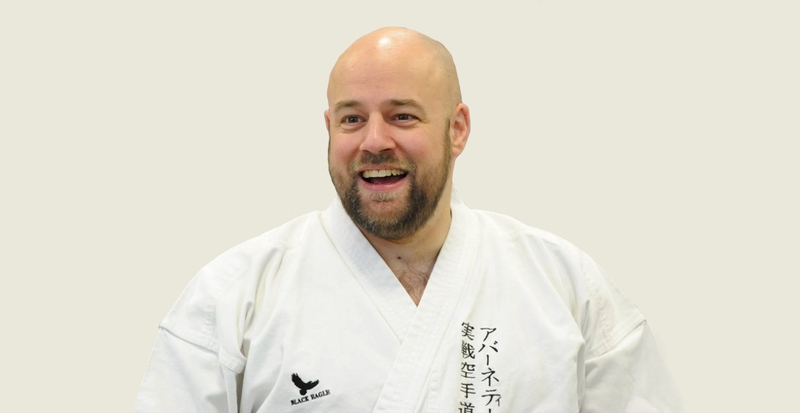 In particular, Iain Abernethy strongly supports the idea that the traditional kata of karate were created to record such a self-protection system. 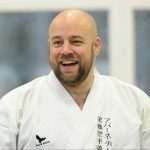 Over the years, Iain has developed a four stage approach to “unlock” the information in “solo kata” and then take that information into the live application of kata techniques and principles in what Iain calls “Kata-Based-Sparring” or “KBS”. 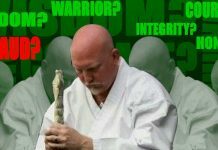 KBS is a training method that utilises the techniques and principles of kata in a live and contested way that has genuine relevance to civilian self-protection. Iain sees his approach as easy to adopt and this has seen him travel all over the globe teaching seminars so that others can add aspects of his approach to what they do. Iain’s first book, “Karate’s Grappling Methods” was published in 2000 and at the time of writing is on its fifth reprint. Iain Abernethy has also written “Bunaki-Jutsu: The Practical Application of Karate Kata” (2002); “Throws for Strikers: The forgotten throws of karate, boxing and taekwondo” (2003); and “Arm-Locks for All Styles” (2004). In 2005 Iain wrote his fifth book, “Mental Strength: Condition your mind – Achieve your goals.” Although firmly rooted in the philosophy of the martial arts, “Mental Strength” was a more mainstream book on the subject of personal development. Iain has also produced a large number of DVDs on the combative applications of the traditional forms and applied karate. In 2007 he also produced the first fully interactive solo training DVD: “Iain Abernethy’s Martial Arts Fitness Drills: Solo Trianing”. In 2003 Iain Abernethy launched his website: www.iainabernethy.com. Over the years the website has grown into a popular source of free information which receives thousands of page hits each day. The monthly newsletters have thousands of subscribers from all over the globe. 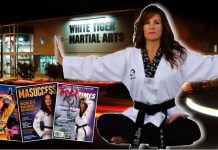 The website also features Iain’s monthly applied karate podcasts which have the maximum popularity rating on i-tunes. Iain Abernethy lives in the extreme north of England with his wife, two sons, daughter, dog and cat.